Join our team and make a difference in the lives of local wildlife that need care. We invite you to become part of a great team of dedicated wildlife rescuers. 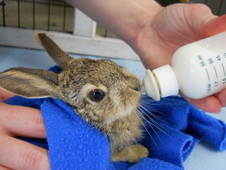 A wide variety of opportunities exist, including but not limited to rescues and releases, medicating and feeding animals, and cleaning enclosures and facilities. Interested in working with wild animals and the great people who help them? Read below for details on the many different positions we have available. We require all of our volunteers to be age 18 or older. In the future, we hope to have a youth program for those under 18. Keep checking back for any updates. At this time, we do not accept volunteers needing to complete community service hours. This is a very hands-off position. Our patients are wild and the less human exposure they have, the better they can heal. 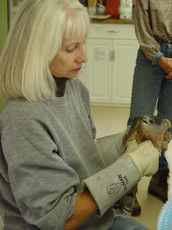 However, some avian handling training will be provided to dedicated volunteers. Workshops are offered regularly to help volunteers learn or brush-up on skills. 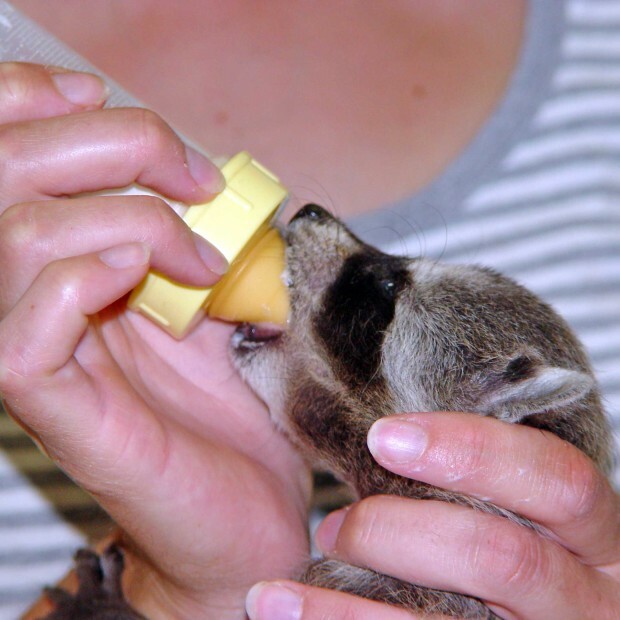 Mammals can only be handled with a pre-exposure rabies vaccine but is not required to be a volunteer. An up-to-date (within 10 years) tetanus vaccine is required for all volunteers. An orientation and training session is required for all B&B volunteers. Volunteers must also commit to the entire baby season, which runs from about March to the end of September. All Bird and Bunny volunteers are required to provide a photo ID and proof of tetanus vaccine within the last 10 years. Works with the accountant to ensure documentation is maintained for double-entry accounting, payroll, tax, vendor, purchases, deposits, donations, and insurance requirements. Handling of monies requires a criminal background check and credit report check. 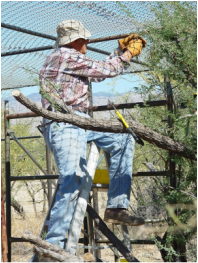 Ever expanding to meet the needs of caring for our wildlife, TWC needs all construction trade experts and professionals including electrical, plumbing, carpentry, masonry, sheetrock, flooring, painters, etc. Proof of current Tetanus vaccine is required. Public speaking and demonstrations of rescues tools and animals care. Priority is given to current or past Animal Care Volunteers, but all interested parties are encouraged to apply. General “handy man/woman” to maintain plumbing, electric, carpentry, masonry, flooring, painting, etc. Proof of current Tetanus vaccine is required. Weeding, pruning, raking, placing vegetative debris in trailer for later removal to landfill. Works with Director to write, edit, select photos, copy and mail quarterly newsletter. Several areas of office management and assistant positions are needed. The work includes performing general receptionist and secretarial duties such as answering phones, preparation of written correspondence and donation acknowledgement letters, maintain files, greet visitors, maintain office supplies, make copies, and schedule appointments and tours. TWC has needs for innumerable professional experts including attorneys including a specialist in 501(c)3 corporations, architects, accountants and CPAs, marketing, business, and others. Work with the Director to fill a temporary or ongoing need. Experience is not necessary, and training will be provided. Multitasking is a plus, as well as a general knowledge of native Arizona wildlife, but not required. Good customer service skills and ability to interact with the public in a professional manner is required. Since we log all calls, good handwriting is a plus as well. Some light clerical work (data entry) may also be expected. For our events, we could always use help in various ways. Before, during, and after an event, we depend on volunteers to help us raise money for our cause. Please let us know how you would like to help. 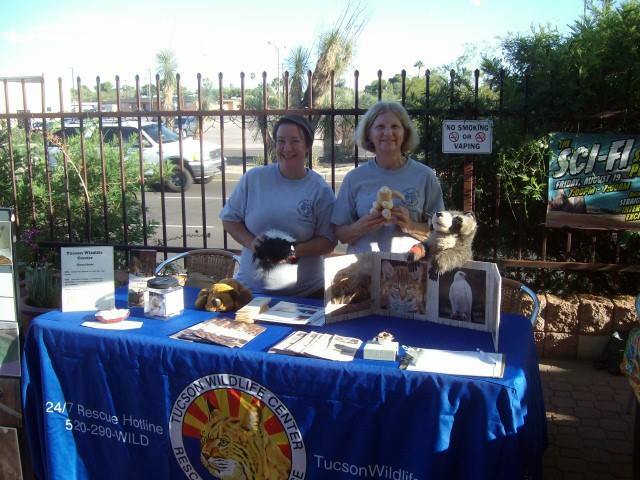 Email admin@tucsonwildlife.com to inquire about current position openings. I'm not interested in animal care. I'm not interested in bird and bunny care.